Tell us about your dream Latvia vacation. We will match you with up to 2-3 top Latvia travel agents who meet your requirements. Make a booking of your Latvia tour package when you are convinced. Latvia is best described as a huge untainted parkland with a real city and its capital- RÄ«ga. Ranging from a tapestry of lakes, sea, and woods to the country’s heartfelt hospitality, Latvia welcomes all its visitors, warmly. It might not be as huge as its neighbor countries, but the amount of love, affection, and space Latvia offers is enormous. One can always have an experience of pristine nature through trekking, cycling, and mountaineering. Latvia tours offer the beauty if valleys, ancient castles, miles of beaches and especially the Baltic gem. This Winter Visit Interesting Places In Riga "The Home Of Christmas"
Discover Best Latvia Vacation Spots with this Planned 3-Days Itinerary! Explore Latvia - Witness the Magical Beauty of Nature! Latvia is always a surprise. It is waking up amid architectural treasures then bumping into the countryside on a mountain bike. It is spending a long summer night in an energetic capital, before a lazy day on a white-sand beach. It is a country that does not advertise its riches yet opens its heart to all those that visit. Tucked away on the Baltic Sea, determined to be different from its neighbors, this small and pristine country has involved into one Europe’s hidden gems. The great thing about Latvia is its quiet nature. 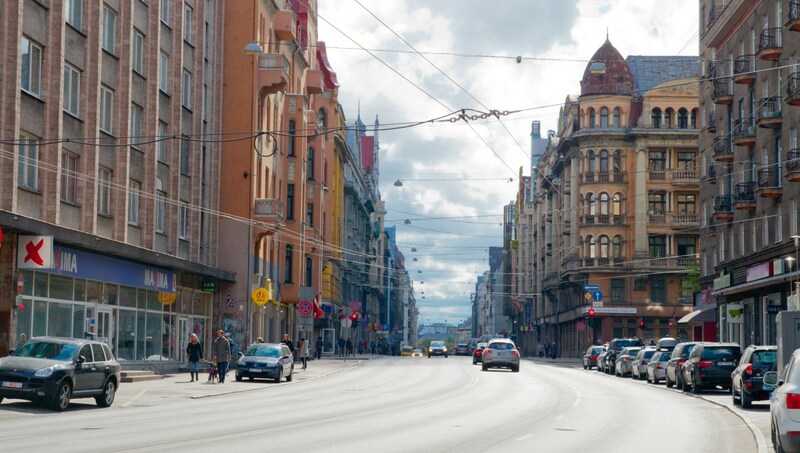 Outside the capital city of Riga, you can travel for hours without seeing anyone. Visitors can hike through pine forests to sandy dunes, traverse riverine valleys to castle ruins, and canoe out of seaside villages on warm summer days. This small country feels like an own outdoor playground, especially when it is light for almost 18 hours a day from May to July. Many visitors are surprised. Latvia may be small, but wild beauty is found across many nature trails and parks, with much of the country firmly off the beaten track. Riga waits at the heart of everything. This is Latvia’s only real city, a World Heritage Site where Jugendstil architecture meets medieval charm and cobbled streets. It’s the atmosphere that excites, a cosmopolitan blend of fun-loving locals and artisans. Modern and efficient, it’s a capital city with everything you could need: transport, shopping, museums, and nightlife. Most people remember it for beautiful summer evenings soaking up the ambiance, either along the broad boulevards of the New Town or the cute narrow lanes of Old Riga. The city’s central location makes it a convenient base to explore everything in the country, and many people do not spend a night outside the capital. The wilder windswept stretches of Baltic Coast require a slightly longer journey, Ventspils and Liepaja jumping off points for some of Europe’s least known sand. Head inland from Riga and it seems there is nothing but pine forest until the road twists its way to the enchantment of Sigulda, a photogenic town that’s become Latvia’s most popular day trip. Four national parks provide the greatest immersion in nature; each park has been carefully cultivated for easy accessibility. Day hikes are common as well as multi-day hikes through panoramas of snow or spring flowers. If you want to go properly outdoors in Europe then Latvia’s local guides know where to lead you. Visit Riga and Sigulda Their for elegant old-world squares and atmospheres. Latvia’s location and anonymity on the world stage mean the country has remained far off the tourist radar. Most visitors come for two or three days, before continuing exploration of the Baltic region. 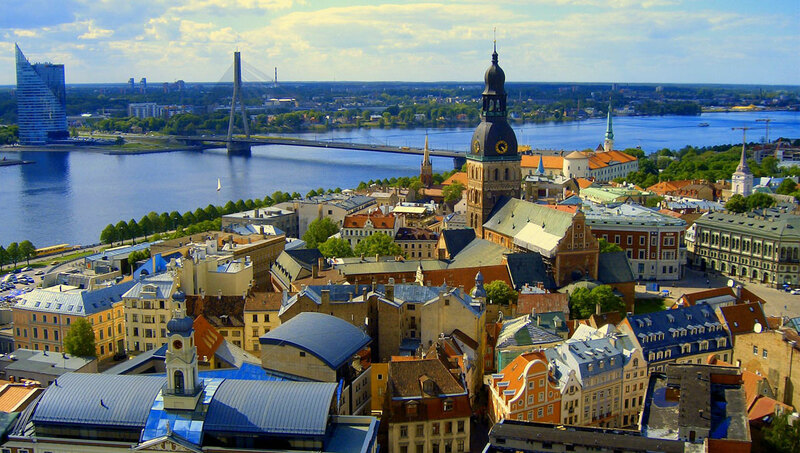 This is indeed enough time to get a feel for Riga and the enthusiastic Latvian people, as well as a jaunt into the semi-wilderness and perhaps a stroll along an empty beach. Those fond of the outdoors should allocate more time. And those with a soft spot for authenticity and genuine people may find themselves plotting another visit: Latvia has a high proportion of return visitors, but you will need to discover why for yourself. The Latvian experience is unique. You do not need to search beyond the standard trail to get a genuine feeling of the country. 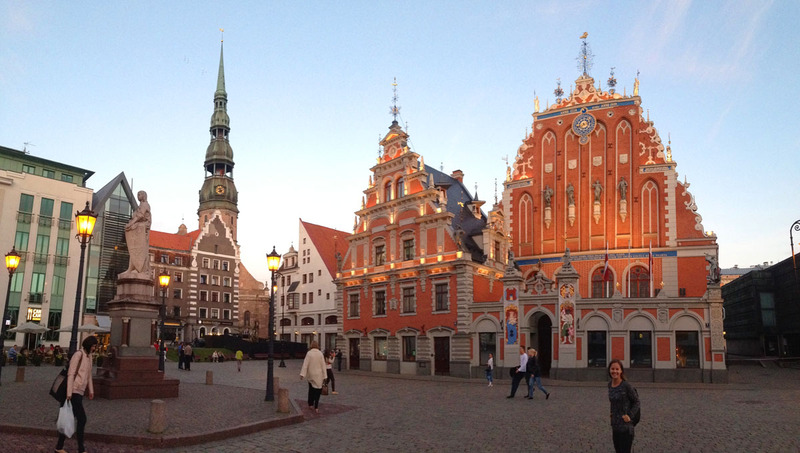 Latvia is where you go when the rest of Europe starts feeling top heavy with tourist crowds. Castles and palaces fill the panorama in Sigulda, a small town less than an hour from Riga. A charming little place that is easy to get around on foot, Sigulda is the classic half or full-day trip from the capital. Take a walk through a Soviet-era manor estate, search for the miracle spring, explore castles in their different state of ruin, and stop for lunch and a frothy beer in the heart of town. This is also a jumping off point for Gauja National Park and it is easy to combine the two destinations in a single day. Calm and quaint, Kuldiga inspires a feeling of what Latvia always was, and always will be: a reserved yet welcoming nation that prefers the quiet life and its own way of doing things. They call it the Latvian Venice, in reference to the streams and Venta River that slice between the houses. Still, a few people come, despite the medieval architecture, ruined castles, baroque wooden churches, and lush green surroundings. Visit on midsummers night, and you will see the strange festive spectacle of naked people running across the main town bridge. Visit any time of year, and you can stroll to Europe’s widest waterfall, an impressive cascade that’s only really known to locals. Not many people visit Latvia in winter, which is a shame because the snowy landscape is hypnotically pretty when the sky turns blue. Ice hockey is the national sport and Riga is the place to catch matches, from September through to the finals in March. There is an Olympic standard bobsleigh track in Sigulda, and remarkably, it’s open to visitors. You can zoom down the track at full speed, three passengers being steered by one of the country’s Olympian bobsledders. Medieval Cesis Tucked away within Gauja National Park, Cesis still rolls to the rhythm of yesteryear. One castle dates to 1214 but has been empty since Ivan the Terrible rocked up in 1577. The other was built by German counts and is more like a medieval manor house. Landscaped park gardens complete the scene, along with understated stone buildings that feel like a country break. Cesis is in the heart of the national park, and it’s well worth spending the night here, enjoying rural pleasures before returning to the city. Entertainment in Riga Baltic countries is not usually known for culinary expertise, nor for trendy nights out. Riga is the exception in this bashful region, home to an abundance of local bars and an evolving, contemporary dining scene. Many visitors find a bar on their first day and return every night for the cozy atmosphere and friendly vibes. Outdoor terraces are added throughout summer, with bars in Old Riga particularly atmospheric on late summer nights. It’s unlikely you will return to the same restaurant night after night. There are some exceptional choices to try out, crafted by a new generation of creative chefs. They have brought both international and local cuisine to a gourmet level in the capital. Latvia looks beautiful throughout the year. Snowy panoramas fill the winter months, pine trees spurting out from a white blanket, remote landscapes can be explored on snowmobiles and cross-country skis. Spring brings flowers, always an enchanting time in Europe, even more so when the land is dominated by nature. Crisp blue skies and summer warmth make June to August a stunning time to visit, such energy and enthusiasm everywhere you look. Then fall, when the forests keep their leaves and the landscape does not take on the barren drabness synonymous with countries immediately south of Latvia. When to go is not dictated by climate, it is mostly dictated by the hours of daylight. At this northern latitude, there is a huge difference between January and June. Throughout June it can feel like the sun never goes down, with dusk elongated almost until it blurs into dawn. May and July are almost as long. Even in April and August, it may feel like it never becomes night. These long days provide opportunity, and natural light gives you energy, so two or three days of Latvian summer can feel like a whole week on vacation. Understandably, these warmer and lighter months are the peak time to visit. Latvia is not crowded though, and even in July, you will not be confronted by loads of tourists. The beaches are popular with Latvians in summer, bringing energy to replace what is usually somnolent sand. It is amazing how quickly the light fades after August. Winters are dark and cold, beautiful if you like walking in the snow but challenging if you wish to really explore. In the off-season months, most of the country shuts down. Visit Latvia, and you can stay in a palace every night. Regal buildings have been repurposed into four and five-star hotels, from manor residences to glamorous pieces of history in Old Riga. Reflecting the rest of the country, the accommodation is elegant and understated, quick to win over the heart without ever being flashy. 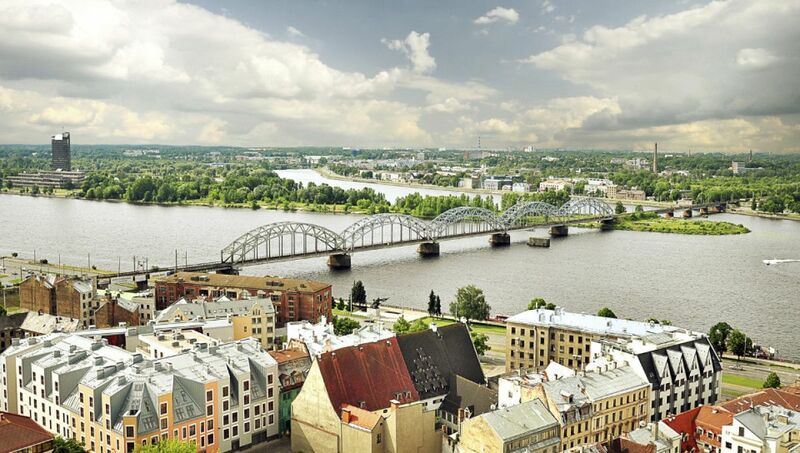 Most stays are based in Riga, and the capital has the widest choice of accommodation. Check the location when choosing a palace or spa hotel; in Latvia, it is ideal to stay in the heart of the old city, or out in nature. When in Riga there are a number of options for staying within a World Heritage listed building or one of the iconic art nouveau buildings. Families are well catered for and again the main consideration is location, either in a pedestrianized area or away from it all. Get to the coast and the accommodation is on a small scale, including self-catering wooden chalets along the dunes. Latvia is a member of both the European Union and the Schengen Agreement. U.S. and Canadian nationals do not need a visa to travel here. Riga has the country’s only international airport, and the flight network has grown exponentially over the last few years. Many visitors arrive by train as part of a longer Baltic nations vacation, and there are services from neighboring Lithuania and Estonia. It’s just as quick to travel over the border by road. When combining Latvia with Russia, there are long-distance trains between Riga and both St. Petersburg and Moscow. Like all the Baltic nations, Latvia is a very safe place to travel. Outside Riga, it is common for house doors to be unlocked and it’s considered okay for people to camp on private countryside land. In the city, it’s important to keep any rented bicycles locked, as this is the thing that’s most likely to go missing. The only real threat comes if you are drinking late at night in Riga. Some local bars work in tandem with street scammers, leading to a scenario where the bar or club bill turns out to be ten or twenty times what it should be. These scammers mostly target bachelor party groups, but it is worth being aware. Medical facilities are of a good standard. You will need to pay a basic patient fee before getting seen by a doctor, and this should later be covered by your travel or medical insurance. Many doctors in Riga speak English, and you will not have trouble finding a translator if yours does not. This will be unlikely to be the case in rural areas so you will need to visit the hospital or clinic with your guide. Be cautious on adventurous journeys through the national parks. There are no medical services or air evacuation helicopters; guides are trained in procedures and can ensure you get emergency assistance as soon as possible. Latvians are quiet and reserved people, happy in their own space. Do not think that the lack of a beaming smile makes them unfriendly though. It is more a reflection of their bashfulness. The people are quite happy being on their own, as you may expect in a country with so much space. However, despite being reserved they are not overly conservative. It is pretty difficult to offend a Latvian – the only off topic is the Soviet occupation – and even if you did cause offense it is unlikely to lead to confrontation. Their reserved nature goes out of window somewhat during summer, when festivities and folklore mark the country. It is June to July when Latvians best celebrate their heritage, wearing traditional dress as they attend music and folk festivals. Look out for festivities on the beach, a great way to see how the locals do things. The Jani summer solstice celebration extends across the whole country and makes mid-June the ultimate time to travel. Christmas markets are when traditional crafts are best advertised and those in Latvia make a low-key less touristy change from others in Europe. Latvian is a difficult language to understand and there are not many visitors who learn anything beyond a basic greeting. Still, it does use the Latin alphabet so you can read street signs and at least attempt a few words, always a good way to start a conversation. By traveling with a guide you will start to learn a lot more about the country. Guides will open up to your questions and help you delve beneath the surface. The food is intriguing. There is good seafood on the coast, including salted herring, just one example of Scandinavian influence. Typical Eastern European staples like grains and dumplings are prominent, along with warming soups. Many visitors love the dark rye bread, dipped into a soup as an appetizer. Pork and potato are accredited coming from Germany although the Latvians have always had their own way of preparing meat. Fatty smoked pork is very common, a little like Spanish chorizo but less refined. Wash it down with a glass of Riga’s Black Balsam, an herbal alcoholic drink that’s been around since 1700.
Leisure provides a wide array of meticulously planned Latvia tours. We make all the plans so that you can completely enjoy your dream vacation! The entire trips can be customized to specific class and requirements or can be completely tailor-made around particular destinations and special interests. To start your amazing journey for Customized Latvia tours, let us know your interests by filling out a Trip Request. We would then match your requirements with two or three specialist travel agents who will work with you to provide you the best vacation.